Crane auction and equipment auction companies conduct hundreds of auctions of industrial equipment and construction equipment a year. Many times these auctions are unreserved, which means no minimum bids or reserve prices are required of the buyer. Auctions can contain both new and used cranes, parts, rigging, and accessories. Some of the top auction houses or auction companies will have both on-site and on-line bidding services. Other related services provided by auction companies might be financing, shipping, and warranties. Crane and heavy equipment auctions sell all kinds of equipment including types of cranes such as overhead cranes, truck cranes, boom trucks, crawler cranes, carry deck cranes, draglines, and more. Unless you get caught up in a bidding war with another bidder,you may find that auctions are great places to get the best deals. A typical crane or heavy equipment auction will be held at the local fairgrounds or perhaps a large parking lot, and takes a several hours to go through all the sales. Make sure you come to the auction prepared to at least leave 10% down payment, and make sure you have a way to get what you want home (you can pay a huge fee to get something moved). Especially in the case of bridge cranes, always figure in the cost of removal, installation, and modification into your overall cost when bidding. Be an auction smart bidder. It is often difficult to understand why a crane or a piece of heavy equipment is being auctioned off. Is the company upgrading to newer equipment? or is someone trying to get rid of their junk equipment. If if the machinery has the original paint you are more often safe with the purchase. If the machinery or heavy equipment has brand new paint. "Buyer Beware"
There are several types of auction systems, such as sealed bid and live auctions. Some equipment auctions only accept cash and some even offer equipment financing. One of the largest equipment auction companies would be Ritchie Brothers Auctions. They sell heavy equipment including cranes. Auctions can be a great place to buy a crane or a piece of heavy equipment. It's also a hassle free way to sell off your excess fleet. Typically sellers are charged between 10% and 15% to sell a piece of equipment. The buyer is not usually charged a buyers premium to purchase equipment at auctions but if so, it typically doesen't exceed 2% of the sale price for higher priced items. Whether you're a buyer looking for a crane at auction for a good price, or a seller looking to liquidate your cranes as quickly as possible, a crane or heavy equipment auction might be just the answer you need. 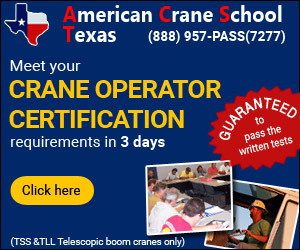 Read an online article about Cash for Cranes.